The Queanbeyan-trained Noble Boy has taken out the $500,000 Country Championship Final at Randwick. He’s only had his trainer’s licence for 18 months but as of Saturday Todd Blowes has a win at Royal Randwick under his belt. 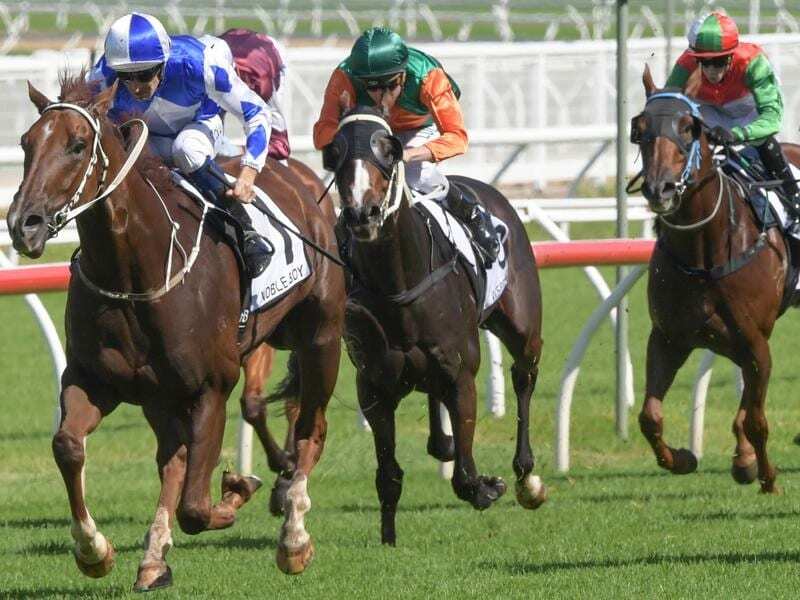 Blowes’ four-year-old gelding Noble Boy snatched victory in the final stretch of the $500,000, 1400m Country Championships in a thrilling ride by star jockey Hugh Bowman. It was a dream come true for Blowes, the Queanbeyan trainer facing the biggest race of his career with less than two years experience as a licensed trainer. “It’s unbelievable, I really can’t (believe it),” he said. While Noble Boy was tipped as favourite going in it was nevertheless a week plagued with doubt for Blowes after an uninspiring run in preparation on Tuesday. “There was a concern when I pulled up after his gallop, it was just different work to his normal sort of stuff, but he’s only a lightly raced horse and I’m still learning things about him,” he said. Blowes also faced an uncertain road to make it to The Championships – with Noble Boy only qualifying in the Muswellbrook wildcard race, after failing to qualify at Goulburn. Come race day however, all doubts were gone – and even a thrown shoe couldn’t shake Blowes’ faith that his horse had what it takes. “For once I wasn’t worried,” he said. Randwick’s soft track on race day worked in Noble Boy’s favour with the mud having proven to be right up his alley in the past. “Like I said earlier in the week, there was more things on paper for us than against us,” Blowes laughed. Reeling from the impact of his biggest ever win, Blowes still managed to grasp what this victory would mean for him. “I want to be involved in this sport for a long time to come so hopefully it’s on to bigger and better things,” he said.